You can find full details of where to download the podcast here. Go and download it and show us some love guys! We hope you all enjoy! 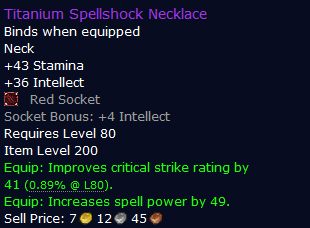 Chain lightning is one of the most spec defining spells for an elemental shaman. 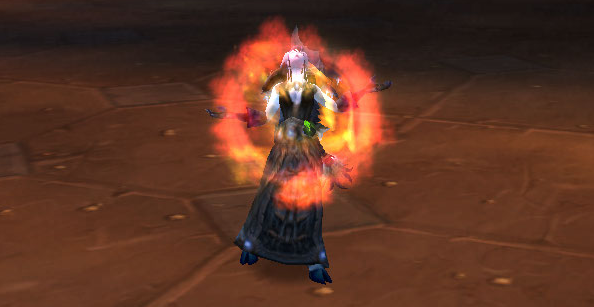 Graphically, it’s quite entrancing and I suspect there are few shaman players that can say they weren’t slightly excitable the first time they got to utilise this spell, be that in a dungeon or a raid. The idea of the spell, it’s concept, is also quite intoxicating. One nuke, upto three targets. That is every caster’s dream; theoretically. There is always confusion as to whether or not one should use chain lightning however. 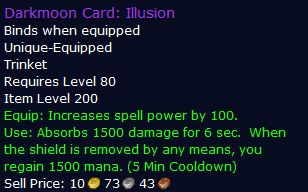 For the new level 80 shaman, they can find themselves running out of mana fast and not necessarily gaining much in return. Today, we take a look at the maths behind chain lightning and when and how we should be utilising this into our rotations. Hurls a lightning bolt at the enemy, dealing 973 to 1111 nature damage and then jumping to additional nearby enemies. Each jump reduces the damage by 30%. Affects 3 total targets. Your Chain Lightning strikes 1 additional target. 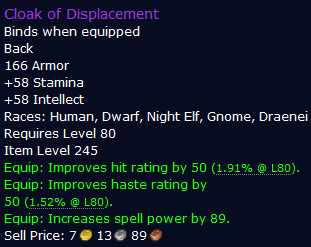 However, the same 30% reduction applies to the glyph resulting in the last hit being only 34% of it’s original hit’s damage or around 357 damage (assuming base stats again.) Basically, it isn’t worth using. The initial, striking point worth mentioning is the mana cost of chain lightning; 26% of base mana. Lightning bolt, by comparison, costs 10% base mana. This is particularly important when we start to think of the situational uses for chain lightning. Secondly, it’s base cast time is 2 seconds. Again, if we compare this with lightning bolt, we find that chain lightning will cast 0.5 seconds faster. 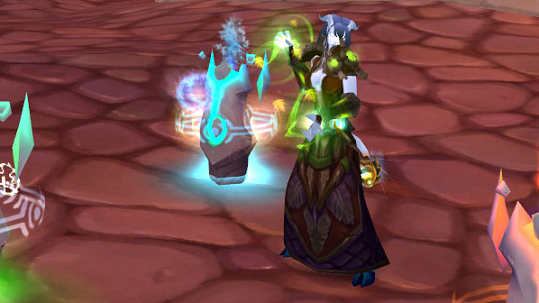 An elemental shaman’s arsenal of AoE abilities isn’t huge. We lack the constant, channelled area of effect spells of the other casters. In terms of totems, we have our magma totem. In terms of AoE spells, we have chain lightning, thunderstorm and more recently, fire nova. The great thing about chain lightning is it’s ability to be woven into our single target rotation. It isn’t a choice between providing single target DPS or area of effect damage, we can do both. Assuming that a multi-mob pull isn’t employing any form of crowd control (and for this expansion, it’s been generally safe to assume this), then using chain lightning in situations where more than one mob is in range of the chains makes complete sense. We drop a magma totem in range of the mobs (and then hope the pull stays in range either by good tanking or because they don’t have any annoying abilities that make them move around none stop,) perhaps use thunderstorm while running back out of the melee range required by our totem and commence a single target rotation, with the exception of using chain lightning and more recently, fire nova. Obviously, in such a situation, using chain lightning as frequently as possible is the way forwards. 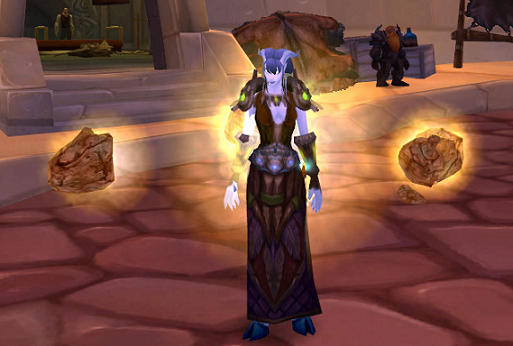 Whilst ever there is more than one mob, your DPS is going to be higher by utilising it as soon as the cool down is up. When you purely look at the base damage, chain lightning looks very good in comparison with lightning bolt. 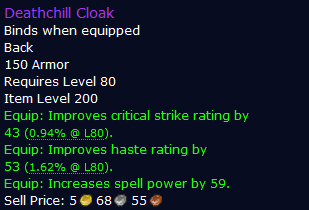 The base damage, however, doesn’t tell us how well (or otherwise) a spell scales with our own spell damage. To ascertain the scaling requires looking at the spell coefficients. Spell coefficients are calculated by dividing the base cast time by 3.5 and then multiplying the result by 100% to receive a percentage. 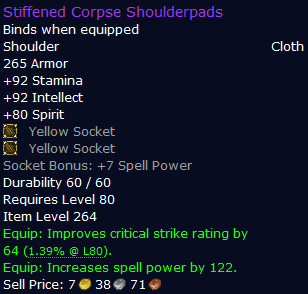 For reference, you can find the shaman spell coefficients here. The best scaling spell in our arsenal is lava burst and aside from this, it’s a guaranteed critical strike when used correctly. That is to say, when flame shock is running on the target. Though chain lightning has a higher base damage, lightning bolt has a higher coefficient. In addition, glyph of lightning bolt is a must have glyph for any elemental shaman, increasing the damage dealt by lightning bolt by 4%. Moving away from the base damage and coefficients, if we refer back to the mana cost of each spell, chain lightning is a very hefty 26% base mana. When we compare this with lightning bolt’s 10% base mana cost, it becomes glaringly obvious how expensive our beloved AoE spell is; 260% more expensive to be precise. So what does this mean in practical terms? On longer boss fights, the use of chain lightning can be a huge drain on your mana. We can counter this by using thunderstorm every cooldown and refreshing our water shield as often as possible but keep in mind these are global cooldowns that could, potentially, be spent on a lightning bolt. While the ideal situation is to end any boss fight on zero mana, it is not ideal to run out of mana before the end. Regardless of your DPS before hand, you won’t be contributing any if you’re unable to cast by the latter stages of the fight. 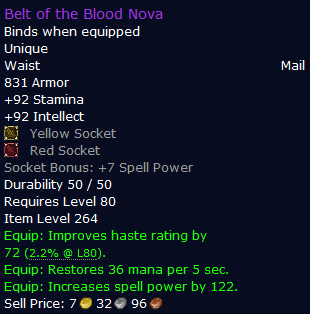 We could use a mana potion but with chain potting being a thing of the past that mana potion could equally be replaced with a wild magic potion during heroism or a potion of speed outside of this time. After landing a non-periodic critical strike with a fire, frost, or nature damage spell, you enter a clearcasting state. The clearcasting state reduces the mana cost of your next 2 damage or healing spells by 40%. The beauty of elemental focus for us comes from lava burst. When lava burst is cast on a target with flame shock (which it always should be), it’s a guaranteed critical strike so naturally, it triggers our clearcasting state. To take advantage of this with chain lightning and reduce that heavy mana cost, chain lightning needs to be cast after we enter our clearcasting state. To be clear, that means lava burst needs to have hit our target. Should you cast chain lightning directly after lava burst, travelling time will not have been taken into account and clearcasting won’t be up when you begin your chain lightning cast. Simply put, if you wish (or need) to reduce the mana cost of chain lightning by exploiting a clearcasting state, then cast one lightning bolt after lava burst and then fire off chain lightning. Chain lighting, as mentioned earlier, has a relatively short cast time of just 2 seconds. The fact it casts faster than lightning bolt is one of it’s great appeals. Taking into account our lightning mastery talent, the effective cast time is 1.5 seconds. Haste has several “caps” that dictate it’s value or benefit to us. The first, and the one with which we’re concerned here, is the GCD cap. This is the point whereby you have sufficient haste to reduce the global cooldown of a specific spell to one second. At this stage, the global cooldown can’t be reduced any further so additional haste will stop benefiting that spell. 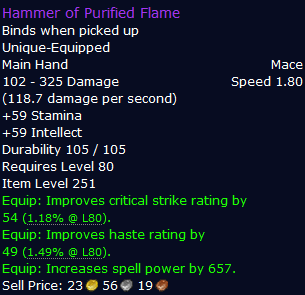 It’s worth noting here that I’m not implying there is a point at which haste is of no value to elemental shamans’. 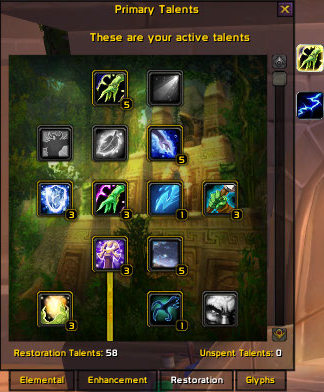 Different spells require different levels of haste to GCD cap them. For chain lightning, however, this is a relatively small amount. 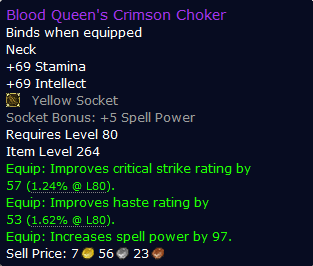 With an effective cast time of 1.5 seconds, chain lightning only needs 50% haste before hitting the GCD cap. That equates to 1640 haste on charcter sheet. Whilst this seems an enormous amount, consider for a moment how many bufs we received in a raid environment that affect our haste rating. 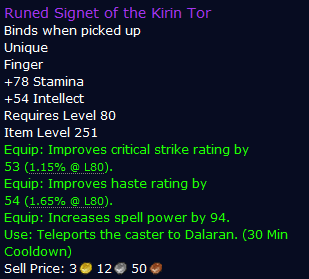 Our own wrath of air totem provides a 5% haste buff. 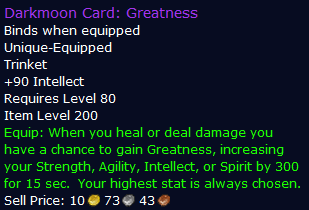 Moonkin aura (or it’s equivalent) provides an additional 3%. Engineers have their hyperspeed accelerators and troll shaman have their own racial. When you then take into account our own elemental mastery and furthermore, heroism, it’s easy to begin to see how we can start to hit the GCD cap for chain lighting. So, in practical terms, what does this mean? Quite simple, once the casting time of your chain lightning drops below 1 second, it is a DPS loss to use it in your single target rotation. This becomes slightly problematic in that our personal haste will vary so much during the course of one boss encounter. To highlight this I’ll try to elaborate on how a typical boss encounter will work for me, or rather, for my rotation. On a boss fight where we open with heroism, I will pre-pot with a wild magic potion. 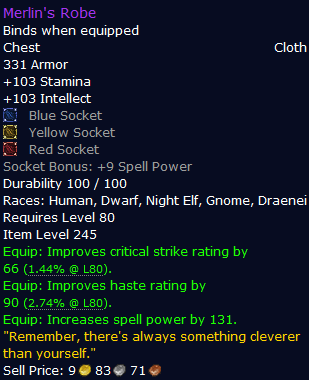 Using a speed potion during heroism would be too much haste when accounting for my personal level of raid buffed haste. 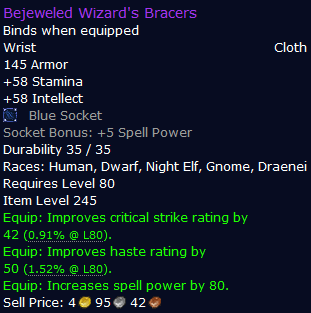 During heroism, my chain lightning casts will be around 0.8 seconds. At this point, utilising chain lightning would be a DPS loss and lightning bolt spam outside of lava burst is the way to go. As I reach the end of heroism’s duration, I’ll pop elemental mastery before refreshing flame shock (known as double hasting your flame shocks. During elemental mastery, my haste will still be too high for chain lightning’s cast time to be above one second, so lightning bolt spam is still the way forward. After elemental mastery I will use my hyperspeed accelerators which places the cast time for my chain lightning exactly at one second. Personally at this point, I will weave chain lightning into my rotation. Once I’ve blown all these cooldowns, my rotation incorporates chain lightning. 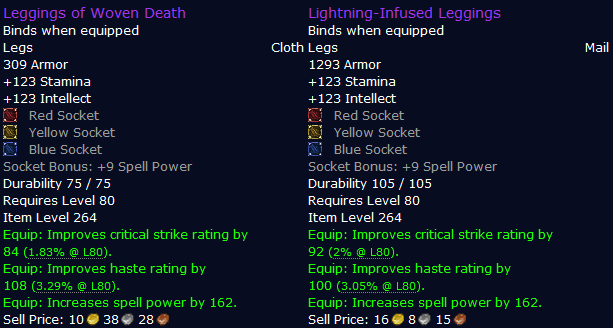 I have decent mana regeneration and the highest DPS gain from chain lightning comes from using it every single cool down. 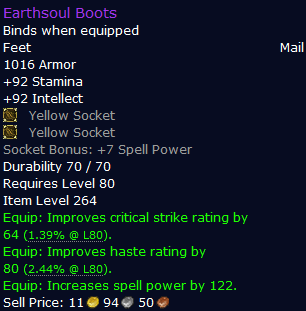 Theory crafting has shown this to net around a 100 dps gain. Utilising it in this manner is the most mana intensive option. 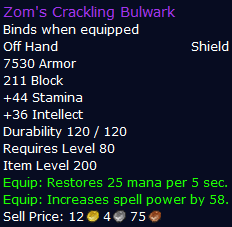 If you only cast it when clearcasting has proc’d then you’re looking at a gain of around 50 DPS but with less mana consumption. As soon as my potion cooldown is up, I’ll use a speed potion so again, chain lightning is removed from my rotation. Obviously, the specifics of this depend upon individual gear. I’m restricted to ten man gear so I’m far from boasting the very best gear out there. 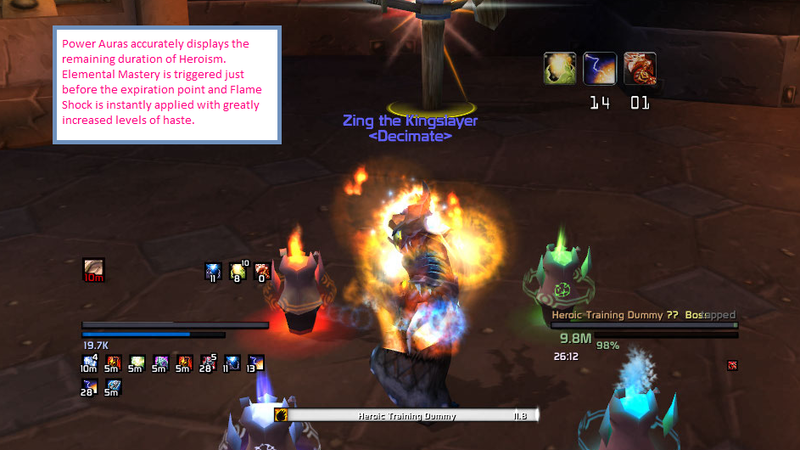 Monitoring your haste levels at any given point in the fight may sound daunting, but there are multiple addons that will do this for you in a clear and concise fashion if you don’t enjoy watching the cast time via your casting bar. I personally use SLDT which constantly gives me a read out of my current level of haste. It also becomes second nature to know at which points in a fight your haste is too high to employ a chain lightning inclusive rotation to good effect. Utilising chain lightning in a situation where you have multiple targets in range is obvious. It will always be a DPS increase to do so. In regards to a single target rotation, the answer becomes more confusing and dependent upon multiple factors. Aside from personal mana regeneration, the length of the encounter and your personal haste, you also have to consider what works best for you as an individual. Many players find a lightning bolt spam easier than weaving in chain lightning every cooldown. Under those conditions, you’re likely to have a higher personal DPS by focussing on what you can do well than fumbling a slightly more complex rotation. 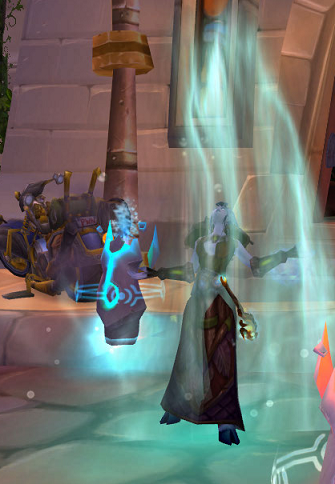 However, as I’ve mentioned before, I’m a huge believer in exploiting target dummies for perfecting your rotation prior to entering a raid environment. They allow you to train your muscle memory and thus focus your attention more on the actual raid. There is a theory in psychology that your attention should be considered like a spot light with a limited and fixed area of effect. If you know your rotation by heart, then it becomes much easier to focus that spot light of attention on the actual fight in hand and ensuring you react correctly to any external stimuli (such as not standing in fire for example.) When learning a new encounter. Yoru personal DPS will always be lower as the encounter is demanding more of your attention. The more accustomed you become to what is happening around you, the more you can focus on putting out the maximun DPS possible. Imagine then if you try to use a slightly new rotation whilst also learning a new encounter. The margin for error is huge, your attention is only so great and your performance will suffer. Therefore, always practice any rotation changes, no matter how small, on a dummy before attempting to carry them out in a raid environment. Note:- There’s also a theory that if the remaining health % of the boss is lower than your % of mana remaining, you should always be using chain lightning off of cool down. This certainly was the “rule” that Simcraft followed.